Catinca Tabacaru Gallery is delighted to present a visual performance by up and coming Brooklyn-based artist Jasmin Charles. Charles will be bringing together both her musical and painting background for her upcoming show and performance this Wednesday night. 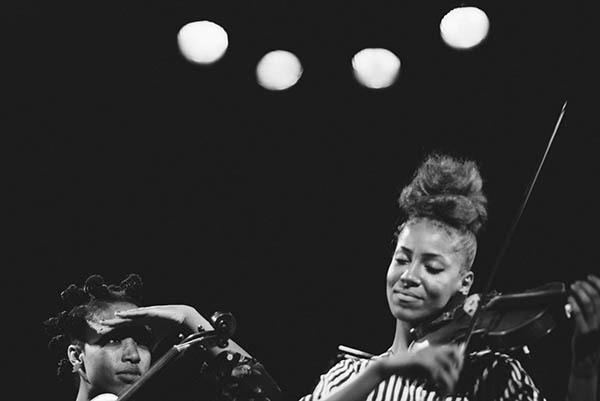 Charles and Margaux Whitney together are the violin and viola duo CHARGAUX, contemporary composers currently breaking necks in Brooklyn.